If You Had a Magic Wand . . . Many of my “Unordinary Tales” come from discussions with my young daughters, and another thought occurred while driving Sydney to high school the other morning. Seems she doesn’t like waking up early with an alarm clock. Hmmm, how un-original, I thought. “Everyone would do so much better in school if they weren’t so tired,” she insisted. I explained to Sydney that it had less to do with caring how well-rested the students were and more to do with busses, traffic, and daycare issues. After dropping her off, I recalled pondering the very same thing, twenty-some years ago, at my last job. There weren’t a lot of hard rules when I worked at the newspaper, but I had to be there by 8:00 am. Granted, that’s not un-godly early, but I did have to set the alarm clock. Everyone reading these words has experienced being SHOCKED out of a deep sleep and having to get out of bed in an almost comatose state, dizzy and disoriented. I remember thinking how much happier and more-productive everyone would be if they could just wake up naturally (no alarm) and get to work whenever that might be. Was that really so much to ask? So what if you could just walk into work next Monday with a magic wand? What if you could just wave it and change ALL the things you don’t like? 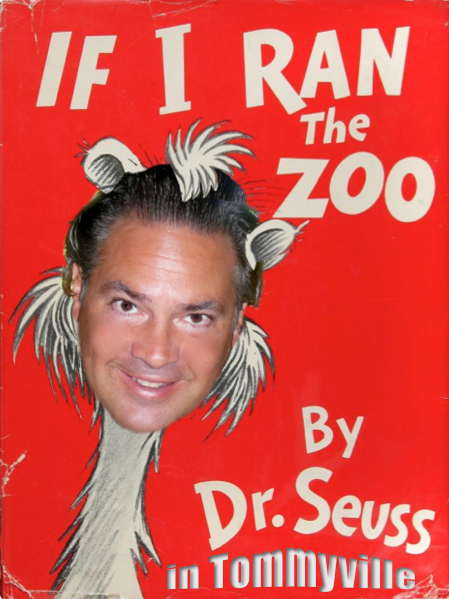 What if YOU ran the zoo? Get to work whenever you’re ready. Some people are early risers by nature. Let them get there early. Me, I’ll come in a little later, and I’ll stay a little longer. Let’s create an environment where people are comfortable. We ask that you look clean and presentable, and actually reward such behavior. Imagine a workplace where everybody liked and respected one another. Imagine being hugged by the boss when you walked in the front door. Imagine your co-workers standing up and clapping when you came into the room? Can you just imagine the sound of laughing where you work? I’ve had jobs where the employees acted this way, but the management had to maintain an authoritative posture. After all, you can’t be friends with the “little people,” right? Let’s change that. Can you imagine a workplace full of positive happy people, instead of the standard nasty miserable complainers (ie. school faculty lounge, or dare I say it, the DMV)? Given that there are “positive and fun” people at work (See #3) I’d like to see a workplace that encourages socializing. Things like; getting to know your co-workers on a more personal level (getting to know their dreams and goals in life), getting to know their families, hanging out, going for meals and drinks, even taking trips and enjoying fun workshops together. What’s that? What would it be like if the people who had attained higher levels at the company were paid more to help others climb the ladder? What if they were happy and willing to help those who wanted to ascend? Can you imagine the experts sharing their knowledge, wisdom, and experience and actually spending time to help this happen? They wouldn’t be afraid of losing their status and position, because the more people they’d help the higher they would be promoted and the more they’d be compensated! There’s no competition. Everyone succeeds together. This almost goes hand in hand with the cooperative learning idea, but what if your office had a “Wall of Fame?” What if people were honored, celebrated, and recognized for every little step they took forward? Oh what fun! I believe that all people have a very basic human need to be appreciated. Let’s feed it! I’ve had friends who had to decline doing cool stuff with me because they’d taken too much vacation time at work. Well in my zoo the people would have unlimited vacation time! And if you need to get out early to pick up your kids from school or make the soccer game . . . no problem! I’ve heard it said that most people work just hard enough so they don’t get fired, and get paid just enough so they won’t quit. If people don’t normally go to work because they want to, what if we could have a “zoo” where your paycheck had no ceiling? It was commensurate with the action you were willing to take and the number of people that you could help do the same? What if the employees earned more as the company earned more? Like owning equity? Hmm. Maybe people would actually want to! This is more about how you will operate, but it’s crucial to making it work in our “zoo.” Treat your customers like you’d treat your friends and family. Is this one so hard? When my daughter mouths off to me, uses fowl language, or speaks with disrespect, I ask her “would you talk to your friends’ parents that way?” Of course not. But her tone is lots different when she wants concert tickets. I call it, putting on your A-Game. Why can’t we make it a habit to always play our A-Game and always strive to be better? It’s a win / win! So that’s what I’d do with my own magic wand. It’s so simple sitting here at the keyboard and changing the world. Yes, the ideas may seem Utopian on the surface but why not? If you don’t think this is realistic (or possible), try spending a day in Tommyville! One day, way back in the mid 80’s, my friend Joe LaCava stopped in to see me at the deli (where I worked) and asked me if I was interested in playing on his softball team in the local men’s league. I remember showing up for the first practice, and I didn’t know anybody there. The coach, John O’Byrne, introduced himself and asked me what position I played. “What position do you need?” I asked. “Third base,” he said. “Third base,” I said back with a smile. I had never played third base before but that became my new position and I quickly secured the fourth spot in the batting order. For some reason, men’s softball was just easy for me. One day, after a game, some of the guys started talking about somebody in the “A” Division. “What division are WE in?” I asked. “We’re in the B,” was the answer. I hated the answer. I immediately felt like a second-class citizen, even though I didn’t know anybody in the A Division. Just the thought of being in a lower division bothered me every time I suited up for the rest of the season. As it went, we won the B Division championship that year which gave us the right to move up into the A Division next year. But the guys voted it down. “Teams that move up to the A Division always come in last,” was their rationale. “But guys,” I pleaded. “Wouldn’t it be more fun to come in last in the A Division than first in the B Division?” They didn’t see it that way. I was determined to play in the A Division but, again, I didn’t know anybody there. So I decided to make up my own team. First, I grabbed my little brother Jeff. Next, my buddy Schultzie. Schultzie knew a few guys from the A Division, so he reached out to them. We went after Bobby Hickson. “Bobby, you’ll be part of a nucleus. We’re getting all good guys, all young guys, and we’re going to have the most fun. We’ll be good, and we’ll build up a dynasty.” Hickson was in! Next, this kid Kevin Seman was supposed to be a good pitcher. Same “pitch.” We got Kevin. The first five were in stone: me, my brother, Shultzie, Hickson, and Seman. So there we had the beginning stages of our new A Division team, which we called The Homeboys. Our buddy Andy Snow worked at Newtown Exxon, and we were able to get them to sponsor us. We were even able to convince Snowy to play; six. We grabbed my friend, Richie Colbert; seven. Nick Tropeano said he’d play; eight. My man Pat Farrell; nine. Johnny Owens made ten. Finally, just to get bodies, we recruited a few high school players in my brother Jason, Scott Terrill, and Chris Daly. Of this roster, only two had ever played in the A Division before and only four had ever played AT ALL! Our oldest player was 24 and our average age was 21. So young and so inexperienced we could hardly call ourselves “a team” and we certainly couldn’t call ourselves an A Division team. That season, we ended up losing . . . in the championship game. Within four runs of winning it all! Though The Homeboys only stayed together for two years, I would play softball for another 20-plus (in fact, I just hung em’ up in August 2013). I would win a lot of championships, a lot of trophies, and a lot of other stuff too. But the memories are the most cherished. I often look back at what fun we had that summer of 88, and recall the actual assembling of The Homeboys. We became the true definition of a team that was bound for success. Here comes the lesson . . . Conventional wisdom stated that only a talented and experienced team could compete at the A Division level. People said that we wouldn’t even win a single game! The problem was that I didn’t know we were supposed to lose! So it didn’t figure into my thinking. When I went out to build this team, I made them a promise: “We’ll get some fun guys, we’ll have a blast, and we’ll compete.” Yeah, we were a little cocky, but The Homeboys expected to win the league. We believed we could. 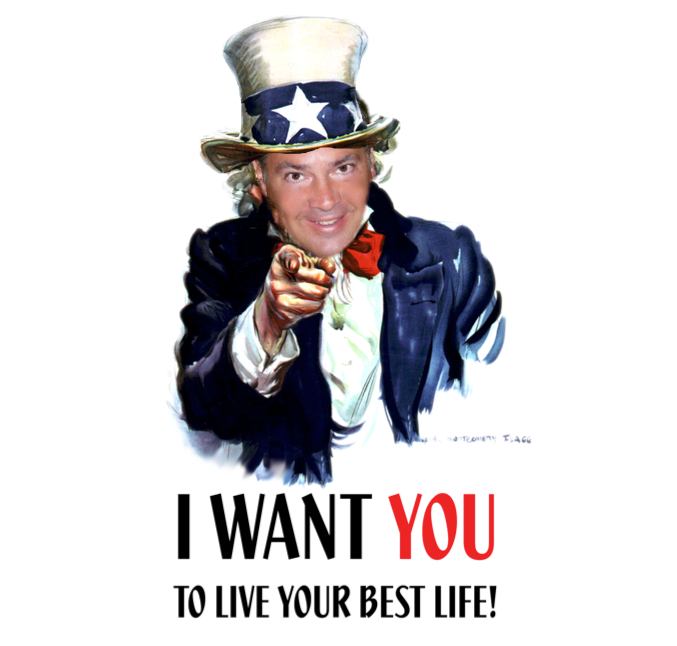 Today I enjoy a career as a highly successful network marketing professional. I build teams for a living. I’ve been with companies that market telecom services, vitamins, online greeting cards, and currently a high-end skincare line. I wasn’t trying to sell these guys on playing softball. I was painting them a picture. I was convincing them that we could have fun, play ball, hang out, party, and yes – win. Some guys didn’t believe me and said ‘no.’ But guess what? Many of them joined up with us the following year! I’ve found that people who join network marketing so often get wrapped up in trying to “sell things to their friends” that they miss the ball completely. It reminds me of when I tried to “sell” my B Division buddies on moving up to the A Division. Didn’t work. So I went out and looked for some people who shared my vision. I built MY team. If people would build their network marketing businesses with that mindset, they’d find much better success. Who could say ‘no’ to a presentation like that?